A food manufacturer based in Kirkcaldy, Fife, has been slammed by Scotland’s food safety watchdog in the wake of revelations that the company was selling food products which had passed their sell-by date. 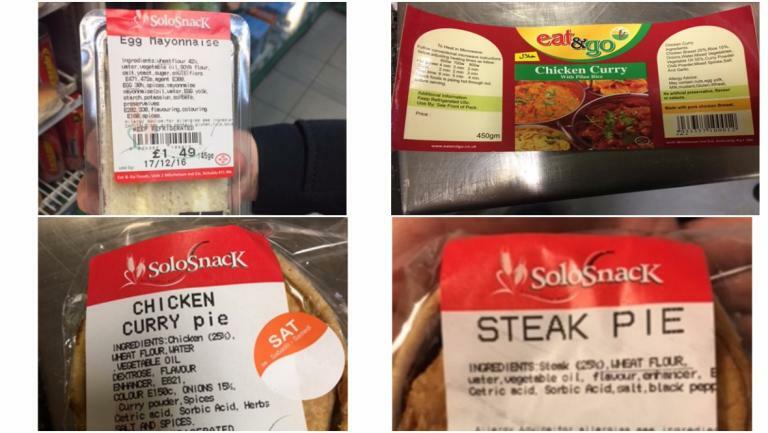 According to reports, Food Standards Scotland (FSS) has advised people not to purchase products from the supplier, SoloSnack (also known as Eat & Go Co.), which sells food in Fife, Edinburgh and Dundee. The company generally produces pastry-based products which incorporate meats which are sensitive to spoiling, such as sausage rolls and chicken curry pies, as well as sandwiches with similarly perishable ingredients like egg mayonnaise, cheese and chicken. STV reports that ‘People who have bought them have been told to return them to the shops where they were purchased. The firm issued a voluntary recall on Saturday 10 December after council officials discovered the shelf life of the food had been extended.’ However, FSS inspectors found SoloSnack products still on sale two days later; and consequently intervened by issuing a food alert for action (FAFA) warning on Tuesday. In an interview with the Herald, Yassen said he was ‘absolutely upset and angry because I have been doing this for 20 years. We've had no problem whatsoever with anybody. How come all of a sudden the six days is too long?’ To have a three-day shelf life would, he claimed, effectively make his business untenable, as the products would only be available for purchase on shop shelves for one day. Nevertheless, with word spreading, consumers will most likely stop purchasing SoloSnack products, and the company will likely have to mitigate with government agencies regarding the circumstances to determine whether the latter’s treatment of Eat & Go Co. has been unfair.